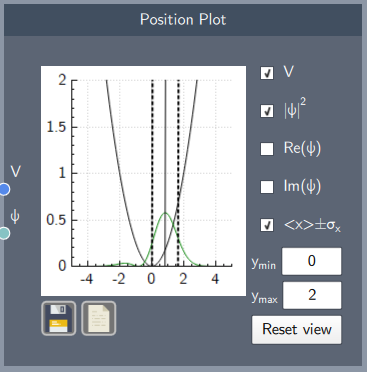 A plot to visualize a potential and the probability distribution. 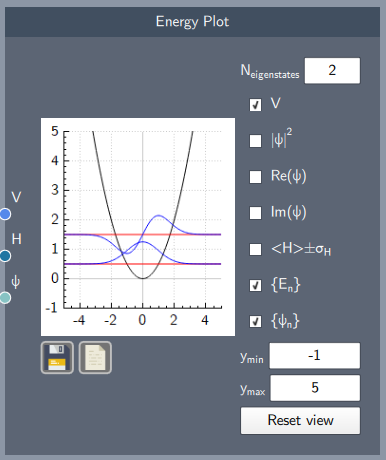 Shows the mean position $ \langle x \rangle $ and the spread $ \sigma $, which is useful while time developing a state. 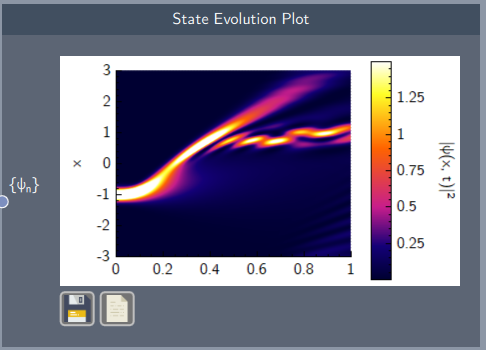 A plot to visualize the energy-levels and eigen states of an arbitrary potential. 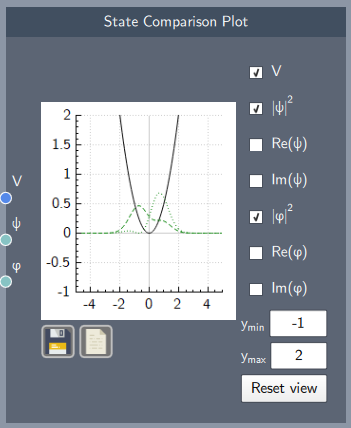 Show the propability distribution, with the real and imaginary parts. Show the internal energy $\langle H \rangle $ of any state. 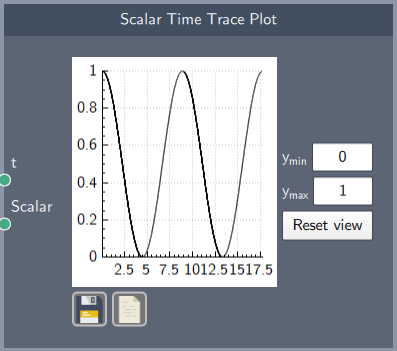 Map out any scalar values that develops in time. 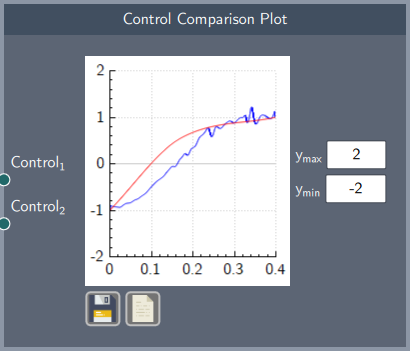 Useful when comparing the initial control path with the optimized control path.